These undeniably delicious and varied assortment of vegan muffins will put to rest any doubts you may have about vegan baking. You'll be delighted and amazed by how easy they are to prepare simply by using readily-available ingredients like non-dairy milk, soy yogurt and ground flax seeds. Whether you follow a vegan lifestyle or not, these recipes are sure to please: Fresh Plum Muf!ns with Walnut Sugar Tops, Chocolate Avocado Muffins; Gingerbread Muf!ns, Morning Oatmeal Muf!ns, Jelly Doughnut Muffins; Chickpea Muffins with Indian Spices, Carrot Cake Muffins, Spinach Basil Muffins; Georgia Peach Muffins, Cardamom Orange Muffins, Cranberry Rye Muffins. 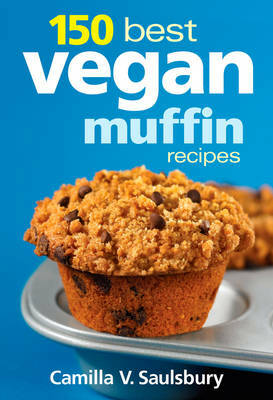 Also included is everything you need for muffin mastery, including information on key vegan ingredients, a list of essential equipment and baking tips and advice. These family-friendly muffin recipes will carry you through every part of the day - from getting your day off to a great start to mid-afternoon snacks and even formal teas and parties. Both novice and experienced bakers will be hooked once they give these muffins a try - tasting really is believing.